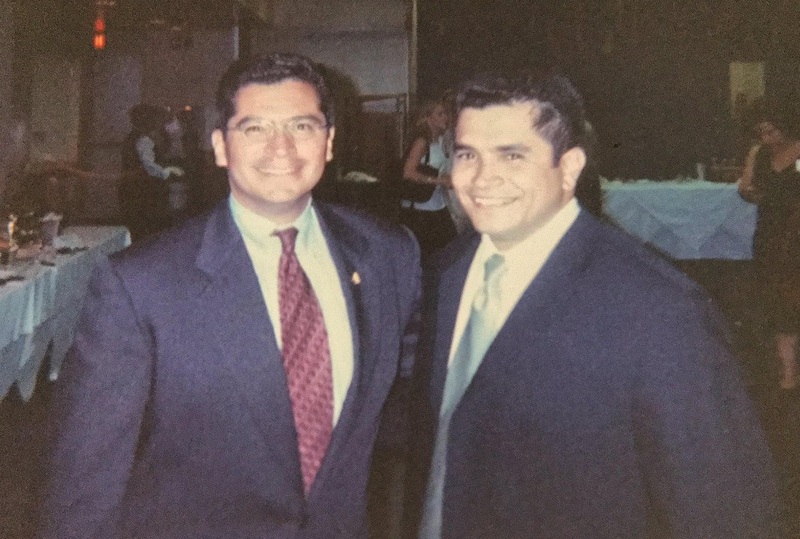 Rep. Jimmy Gomez learned firsthand how to network in bars, focus on the job and navigate the Hill’s degree-clogged pool of talent. After graduating from Harvard in 2003, he was a staffer for Rep. Hilda L. Solis, a fellow California Democrat who served from 2001 to 2009. Gomez saw a diverse staff in her office, which he has now recreated in his own. Q: What was your role in Solis’ office? A: I had just graduated from Harvard’s Kennedy School of Government. It was 2003, and I knew I wanted to be in D.C. for about a year. My whole objective was to build relationships so I could go back to California and work in politics and government there, so I wanted to work for a Californian. I wasn’t interested in working on the Hill just for the sake of working on the Hill. I had a job offer to go and work at the Democratic National Committee to be their executive director of the College Democrats, [but] if I wanted to work in politics, I wanted to work for a Latino member from California on the Hill. I was doing a lot of issues, and I had to handle all the mail on all the issues. I was pretty much the freshman, as I am now, but the freshman legislative staffer. I had everything from animal rights, defense, veterans, you name it. Any issue that the staff didn’t want, it was on my plate. And then I was the liaison to the Congressional Hispanic Caucus. I worked for Hilda from about July to March … and then I went and jumped on the Kerry-Edwards campaign shortly after that. Q: How did you get your foot in the door? A: I came from a background where my family has zero connections in politics. The guy who helped me get the job worked for [Nancy] Pelosi back then. I randomly met [him] at a bar in summer of ’02 when I was interning at the DNC. We became friends, and then when I was looking for a job, I asked him to kind of pass my résumé around. And that’s how I ended up coming to work for Hilda Solis. You build connections over time, which I did. Honestly, a lot of my friends I made on the Hill when they were legislative staffers … became my first base of support when I ran for state Assembly. Q: What challenges did you have as a staffer? A: My general view of the Hill is it’s a challenging place. D.C.’s a challenging place. You think that you have a degree from Harvard and it’s a big deal, but everybody has a degree from Harvard, everybody has a degree from somewhere. People have master’s, Ph.D.s and law degrees. It’s a competitive place. Q: What did it teach you about diversity on Capitol Hill? A: I realized the worst place to be is in the minority in the U.S. House of Representatives. Then I said, “What’s even worse than that is if you’re a minority in the minority in the U.S. House of Representatives.” And what’s even worse than that is if you’re a woman who is a minority in the minority. There’s still a lot of work to be done. Hilda always had a good diverse staff. If you look at my office, it’s very diverse. You look for people who have the skills and the talent, and that’s the No. 1 thing. Diversity is a bonus. My district is heavily Korean. It’s the largest Korean population of any congressional district in the country, so it was important to have a Korean staffer who could speak Korean. Andrew [Noh], I didn’t know he was Korean until after I interviewed him. I hired Andrew not because he was Korean, but because of his expertise on health care. Q: What lessons did you learn from Solis? Oftentimes some members don’t want to lose staff because you have to train them again, you have a new dynamic. But I want my staff to be successful, I want them to move up the ladder.